Are your thoughts already turning to spring and some warmer weather? It won't be too long before we see some of that spring sun, and you'll be wanting to get back into the garden. What better way to spend time in the garden this year than making a focal point with a beautiful garden bench where you can spend time and enjoy your outdoor area. Our range of garden benches are manufactured from a variety of materials designed to offer years of enjoyment and hard wearing service, whether you decide upon a classic teak, a mahogany or even a reclaimed wood bench. We also offer more modern materials such as recycled plastics offering contemporary designs for benches and picnic tables. With all of the benches available from us being created with care and attention by craftsmen, you can be sure they offer quality along with durability, together with style. Our range of benches offers a whole variety of interesting designs such as the Lutyens bench, one of the most attractive benches available at present with a shaped backrest along with rolled arms. 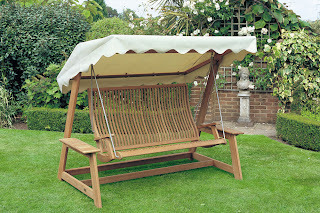 For ultimate luxury and something a little different, why not consider the Bengal swing seat. Perfect for 2-3 people to relax in, this FSC teak seat offers the ideal way of releasing a day's tension or simply entertaining with friends or loved ones. 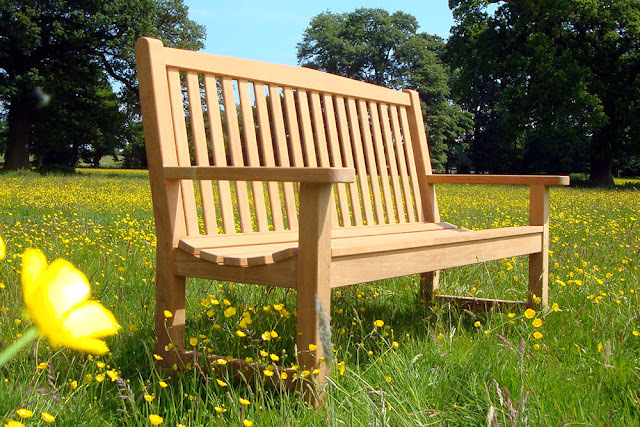 If you are looking for something more formal possibly as a memorial bench to remember a loved one by, our range of teak benches offers a perfect tribute. With a variety of sizes to choose from the classic garden bench is ideal for placing in the garden, in a public area or if you are looking for a bench for a commercial environment. We offer an engraving service for our benches which can be used for a special message to be added to any bench purchased. Alongside the beauty of an outdoor garden, you can add a little practicality to your garden bench with a useful storage area below the seat. A storage bench is a great addition to any garden if you're looking for storage for outdoor cushions or toys or other small outdoor items. Whilst still retaining all the style of the traditional classic garden bench, they are ideal if space is limited, and every small amount of space is important. The range of benches available will offer many years of service given a little regular maintenance to keep them in tip-top condition regardless of the weather conditions. For instance, when you’re not using your bench always keep it covered, regardless of wet or dry weather conditions. Wherever possible keep it clean by wiping it down with a moist cloth on a regular basis. If you able to store inside during the wetter, colder winter months, then do so. Whatever your choice, a classic garden bench can help to make the ideal spot for taking a little time out to sit and enjoy each day, whether that’s with a loved one or simply on your own.